India lost the first Test by 72 runs within four days, with Vernon Philander wreaking havoc with his pace and swing. Image Source : BCCI Ajinkya Rahane in action during a practice session at Newlands, Cape Town. 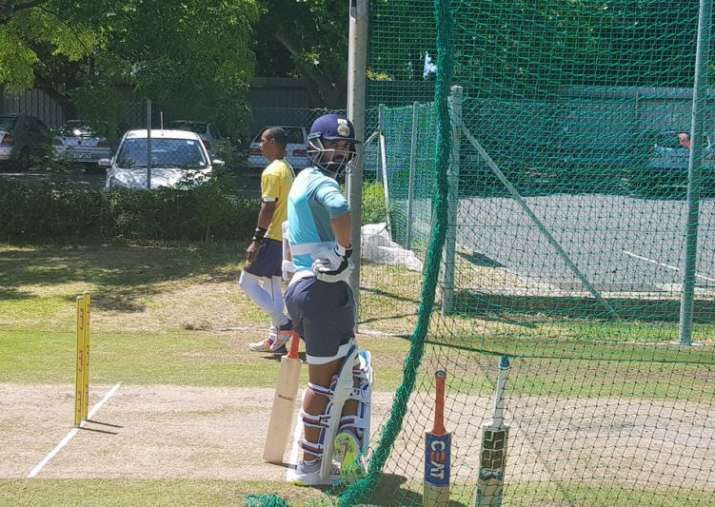 Following a 72-run defeat in the first Test Cape Town, India's ignored trio of KL Rahul, Ajinkya Rahane and Ishant Sharma appeared sweating hard during an optional practice session at Newlands, even as South Africa coach Ottis Gibson warned they would continue to torment India with pace in Centurion. Parthiv Patel was also part of the small training group. Assistant coach Sanjay Bangar and bowling coach Bharat Arun were part of the support team that assisted them through the session lasting just under 90 minutes. Rahul and Rahane both batted in the adjoining nets, alternating between throw-downs and facing throw-downs as well as net bowlers. Ishant Sharma also bowled. Patel was last to join in the batting sessions. There has been a lot of debate over India's team selection in the first Test. Certainly, South African skipper Faf du Plessis had expressed surprise at the omission of both Rahane and Ishant, with Rohit Sharma (21 runs in two innings) and Jasprit Bumrah (4-112 in two innings) playing instead. Indian skipper Virat Kohli had put down vice-captain Rahane's absence to form as Rohit scored three hundreds across all formats in the preceding Sri Lanka series at home. The interesting add-on here is Shikhar Dhawan's twin failure in the first Test. In both innings, he was squared up with short deliveries and ended up offering simple looped-up catches. "Well, the left-right combination always helps, that's what we felt. It's difficult for the bowlers to set their lines and lengths every time with the strike rotating well. "It has worked for us in the recent past. We have to try and create plans that we feel will not let the opposition gain momentum very early on in the game and thats the idea behind it," Kohli had explained. It remains to be seen if how many of the three Rahul, Rahane and Ishant come into contention after the disappointing loss at Newlands. The second Test will be played in Centurion from January 13. Meanwhile, South Africa coach Ottis Gibson has warned the visitors that the pace barrage they faced in the first Test will continue through the series despite the absence of injured Dale Steyn. "When you're playing at home you play to your strengths and at the moment we have some high quality fast bowlers. I'm a very fast bowling-minded coach and I guess we'll always have to find a balance with whether or not we can get four fast bowlers in the team, first of all. "If not, then we will try and look to shape the team in other ways," said Gibson after the first Test. Two pacers - Duanne Olivier and uncapped Lungi Ngidi - have been called up to their squad, while all-rounder Chris Morris is also in contention for the second Test. Centurion and Wanderers (venue for third Test in Johannesburg) historically offer a lot more seam and swing than Newlands along with additional bounce. 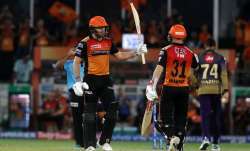 "You saw some good fast bowlers on both sides and from my understanding of Centurion, it's a pitch with some pace and bounce and that will probably be the make-up of the team going forward," Gibson further said. "Ultimately, and especially in this series and for the rest of the summer (four-Test series against Australia in March), we'll be looking to see how best we can fit four fast bowlers into whatever formula we come up with," he added.